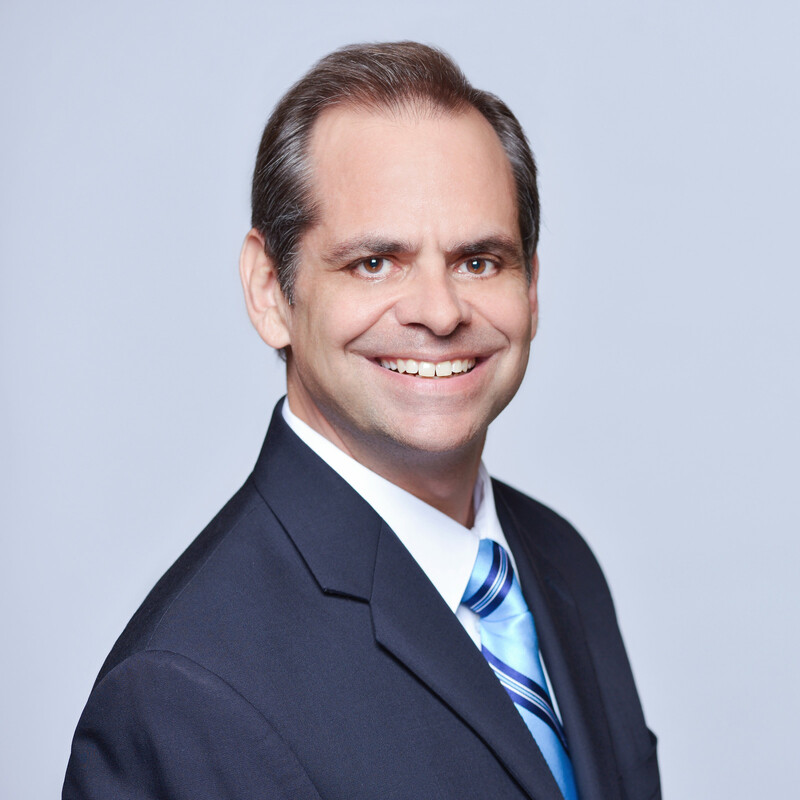 On this episode of SPX, St. Petersburg Chamber CEO, Chris Steinocher, sheds light on the past of our city, and how the Chamber and its predecessor, the Board of Trade, played a part in making St. Pete the special city is it today. From the purchase of the St. Pete waterfront, to the transfer of that land to the public, to investing in big ideas, like the St. Petersburg-Tampa Airboat line, the first scheduled flight of commercial aviation, the Chamber past and present has been an engine for community-minded economic growth. The St. Petersburg - Tampa Airboat Line pioneered the concept of commercial aviation, right here in Tampa Bay. On our similarities and differences with our regional neighbors, Steinocher argues we are akin to a fruit salad, each with our own flavors. He says, "You can’t say that Tampa, St. Pete and Clearwater all are the same, and you’re almost doing them a disservice by saying there’s this vanilla flavor that you should embrace." On industry & innovation: "You never know, you just never know, cause it’s already happened once. We caught lightning in a bottle, we created one of the largest industries on the planet and so can we do it again?" The structure of St. Pete's waterfront and downtown is actually modeled after the Chicago plan, a urban development plan used during the time of St. Pete's construction. On the early preservation of the waterfront as public land: "It takes courage to say we’re gonna create community first and figure out how business is going to be successful." Creating the Grow Smarter Initiative was no small undertaking. The Chamber and its partners charted out a course of what "Growing Smarter" meant to them. They conducted 1,500 citizen surveys, 104 CEO surveys, and 20 focus groups to find out the answer. 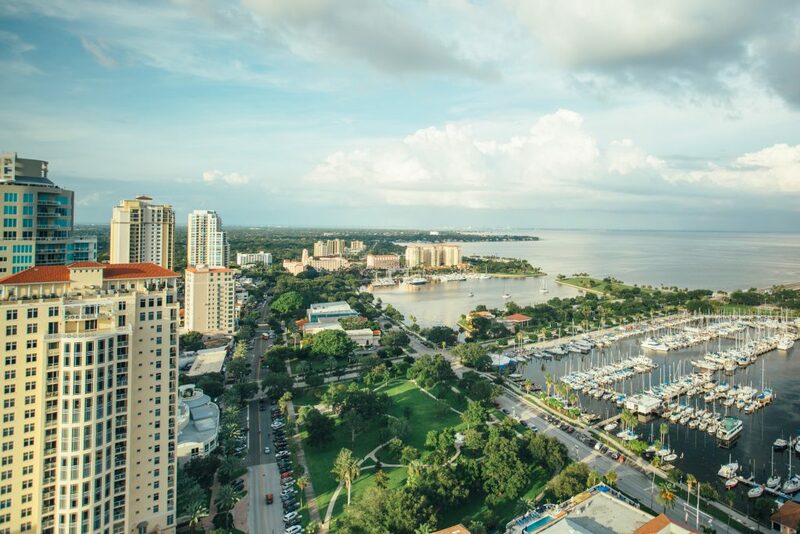 Born from the Grow Smarter Initiative is the new St. Pete EDC, focusing on the five sectors of business that will help St. Pete grow and shine nationwide. I think it’s one of the great stories of innovation of a community, and just a really wonderful point of pride for Saint Petersburg, that we took a couple of guys and who had an idea of commercial aviation...and it was the Chamber president and a couple of his board members who put up their own $2,000 to create commercial aviation. So the St. Pete Chamber really did birth a whole industry." Chris Steinocher came to the helm of the St. Petersburg Chamber at a difficult time. The Chamber, in ruins, was, “morally, spiritually, financially bankrupt,” Steinocher says. Not only that, it had the trust of no one. And yet, Steinocher found hope in the leaders of St. Pete’s business community, “There was no reason for anybody to come help them, they could have let it just languish and pass away. But then when you started to talk to people and helped them understand what we could do together, they showed up… willing to work and willing to try something new and give their time and energy.” In the six years that Steinocher has held the reins at the St. Pete Chamber, he has rebuilt its reputation from the ground up. Starting with an intensive listening process encompassing citizens, CEOs, neighborhoods groups, and more, Steinocher heard concerns and began to develop plans. The Chamber began pioneering economic and community growth through the creation of Grow Smarter Initiative, and championing business initiatives like the St. Pete EDC, the Greenhouse, and Leadership St. Pete. Listen to Steinocher’s conversation with host Joe Hamilton, to hear more about his insights on what makes St. Pete special and how to preserve it, our legacy of innovation, and what neighborhood and district ownership means for the growth of a city. Imagine a big port where our pier is today, imagine that kind of trucking coming through Second Avenue where we have a beautiful walking and Beach Drive is now a staging area. You and I wouldn’t be here, buddy...And that there are people that created those legacies for us inspires me to say, "What are you and I and what are others going to do in St. Pete to keep that going?" That there’s a kind of responsibility now to look at less about what my profit looks like and more what my community looks like." Joe: Hey there, this is Joe Hamilton and I’m here with Chris Steinocher, one of my favorite people in St. Pete. He is the president and CEO of Saint Petersburg Chamber and the all-round engine for progress and prosperity in Saint Petersburg. Welcome, sir. Chris: Thank you very much, I think this interview is over with, I like that comment so far and I wouldn’t wanna mess it up, so thank you. Joe: So a lot of stuff to cover today, you’re a man who is in the know about a lot of interesting things. And first, an interesting project that we just took on, which was the… you’ve been a proponent of the Tampa Saint Petersburg, or is it Saint Petersburg Tampa airboat? Chris: Saint Petersburg Tampa airboat line. Joe: Saint Petersburg Tampa airboat line. Chris: Yeah, I think it’s one of the great stories of innovation of a community, and just a really wonderful point of pride for Saint Petersburg, that we took a couple of guys and who had an idea of commercial aviation and they had shopped it in other communities across Florida at least, that we know they were in Jacksonville and they pitched it, we know they were in Tampa and we were looking for investors to say we want to put people on airplanes and make them pay for it. And it was the Chamber president and a couple of his board members who put up their own $2,000 to create commercial aviation. So the St. Pete Chamber really did birth a whole industry and it was because there were a few guys saying “Let’s try that, that makes sense.” and “Yeah, we would love to get over to Tampa, over the water, that makes sense to us too.” So they were courageous and put down big money at the time, $2,000 I’m sure in 1930, 1940 it was a lot of money. And they did it. So that was over 100 years ago and I think it’s important to remember that, because it inspires other entrepreneurs that maybe we still have that DNA inside us and maybe we can birth another industry out of St. Pete. So that’s why for a Chamber guy like me, I always look around and anytime anybody comes in my office or I get to go explore I want to keep an eye open for… You never know, you just never know, cause it’s already happened once. We caught lightning in a bottle, we created one of the largest industries on the planet and so can we do it again? Joe: Yeah, and hopefully in the amount of time that’s passed between that and this we’ve done a little bit of that too, we’ve had some good successes here. Chris: I think we had, I think we’re good at welcoming people into our community with their ideas and that we’re open to new people coming in, and so I think that’s kind of a celebration to us, St. Pete. So, this whole notion of we’re about to do a new pier and there’s a group called Flight 2014 who are trying to raise money for a beautiful piece of art, almost a live size replica of the first airplane that was flown, and it’s going to be targeted, even cited for the new pier approach, and they are trying to raise money and I wanted to help them. I want people who come down to our new pier to take pictures in front of the first commercial aviation flight taking off. And it’s going to be beautiful and it will be one of those special Kodak moments and as a community I’m hoping we can raise enough money to do it. Chris: Yeah, we were excited to have a partnership with them and I love it, I think most people don’t realize… There’s a couple of things that I like about it. First of all, again, most people don’t understand the history of a Chamber creating a corporation, an industry. I think it’s a pretty significant moment, so I wanted to mark that. But also, I like seeing how they named it. In everything now you see is Tampa St. Pete Clearwater or whatever, and back then it was Saint Petersburg Tampa, it was because of the alphabetical order and because it was started here, but somehow I like that juxtaposition that, as a brand manager of St. Petersburg, as a Chamber guide I kind of like seeing us being in the lead of something. Chris: And so it reminds us that we are a strong partner in this community. Chris: Yeah, it certainly works in Tampa’s favor and got to love them and appreciate them and we need them and together we’re a great community. But yeah, I always wonder what would be different if the region was called something different. But I got to tell you, we look at it as Tampa Bay is a big mall and Saint Petersburg may not be the anchor store, may not be the Macy’s or Nordstrom or whatever the anchor store might be in that mall. But I think we’re the best specialty store in the mall, I think we’re that Apple store, and so I think we attract as many people to mall as the anchor does, and the anchor needs us and the specialty store needs the anchor. So I think I am a very much a regional perspective kind of guy and because I fly out of TIA and cause I love our Bolts and I love all the people that can work and live in both communities and 45,000 people a day travel on both sides of the bridge to go to work, so we’ve got to show some cooperation. But it’s good everyone knows well that St. Pete did something pretty special. Joe: And as a citizen of St. Pete, I don’t in my circles hear much animosity for Tampa, it’s just not really talked about, I think we have a good relationship in general. Chris: I think a lot of that’s urban myth. I don’t see animosity or even feel it, they are different communities. And I think when people get frustrated is when they want to paint them as the same. It would be like I have two other brothers not nearly as good looking or charming or as wonderful as me. Chris: Yeah, it would almost, it’d be asking a lot, but it would be like them being described as me and me being described as them, it’s not fair, even though we’re all Steinochers, we’re different. So you can’t say that Tampa, St. Pete and Clearwater all are the same, and you’re almost doing them a disservice by saying there’s this vanilla flavor that you should embrace. It’s like I heard an analogy a long time ago out in Colorado where you can say you’re a nice marmalade, where you mix all the fruits together and you get something pretty special, or you can be a fruit salad. I’m serious. And think of all the chunky flavors in the fruit salad that you notice the pineapple, you notice the strawberry, you notice the grape, right? So you actually notice them contributing to the fruit salad. In the marmalade it’s all one flavor. Tampa Bay is the fruit salad, buddy. Joe: Well, at least we know about what to make our next T-shirt, right? Chris: Did a lot of people just click off, do you think? Joe: You heard that out West at a… Was this in Colorado where everything is legal, or was it…? Chris: No, well actually it was a talk about economic gardening and it’s because in Longwood, Colorado they lost a big employer. Joe: I think it was economic grow house. Chris: This was actually before that, but they had lost a larger employer that they paid big incentives to and they began to say to themselves why are we doing that, can’t we grow from within? And what would growing from within mean? And so they started to embrace the variety that they have to be, they can’t be one thing, they started to celebrate the diversity of everybody’s impact in the economy and from that became some principles and economic gardening, this was like 25 years ago. And that stuck with me, that you should embrace the pieces of it rather than trying to make it all one. Joe: Yeah. So, circling back, if the shirts are for you, just check them out on StPeteThreads.com. And I think one important piece of that is the business launching the commercial flight industry is one thing, but I think that all stems from being up for it, being open to it, which is opportunity, inclusivity and those seem to be themes that have up transcended the ages for St. Pete. Joe: T-shirt number two, we’re just lining them up, right? Chris: And so they began to say how do we…? Part of what we have to do is we’ve got to be a place where people are welcomed and I really mean it, they started from over 100 years ago saying okay, everybody who is here can contribute. And if you think about it, even then, even from the start in 1890s to 1919, we were all small businesses and every one of them was brand new to the community. And I do believe that’s still around, where we understand that we have to welcome new visitors every month and every… You know, there was a point, I’ve got a log book at the Chamber. The Chamber used to require people to log in when they came down to your community, and why that was, was public safety so that if someone’s trying to get ahold of you up in New Jersey and there was no phones in the hotels and there was no… So how do you get ahold of somebody? You checked in with the Chamber of Commerce and then they welcomed you, they found out where you were staying for the two months you were here and if they received any mail or if they received any correspondences they knew how to get them to you. Ain’t that wild? So there’s always been this notion of we’ve got to make sure we’re taking care of people, welcoming people, informing people and appreciating those who are going to bring the next business to town, because we didn’t have the luxury of… We were working, we were out there, we were on our post. Joe: Yeah. And having all those small businesses, it’s sort of… It didn’t lend itself to large extracts of urban planning. I think one thing that’s kept and importantly does keep our character is just how spontaneously things have grown. And ironically the only thing that’s been planned really on a mass level is the waterfront system and that’s exactly the kind of thing you want planned, right? If we’re gonna plan anything, it’s not the paved stuff, it’s the green stuff, so that’s cool. Chris: Yeah, that was another one of those strokes of genius that was another Chamber initiative. When we were first getting started there was a major debate in this community, there was a gentleman named Mr. Davis who owned the electric company, that’s where the yacht club was, and it was generating 60 Watts of power for St. Pete. And he had the electric pier at the time, and he was lobbying Congress to dredge the Bay so that all those big boats that were going in the Tampa with the tobacco and cattle would come to St. Pete. And there were a lot of other guys and gals who came into town at that same time for their health who said I don’t want to look at a port right here, we came down here because we want to get away from that. And so they purchased all that land, it was six guys who purchased the land and then they created what was the precursor of the Chamber, the Board of Trade, that’s what we used to be called, and they asked us… They created this entity and then gave the city three years to put a referendum together for that to be public land forever. And so here’s that business community who usually goes after big port deals saying we’re gonna develop a different community. So when they won that, they realized now we have some responsibility, cause we just made a big choice, we’ve made a directional choice. So they plotted that all out, but then they used what is called the Chicago plan. So if you’ve ever been to Chicago and you see the ribbon of green around the lake there, they used to have an air field there as well, mixed field, just like Albert Whitted, and then the grid system that came off of that, that was the Chicago plan. So they were trying to create what was called the greatest little city on Earth, greatest little big city on Earth. They used what was an urban plan at the time that other communities were starting to adopt, which was the Chicago plan. Chris: So it takes courage to say we’re gonna create community first and figure out how business is going to be successful. Joe: And what decade was that? Chris: That was eighteen ninety-eightiesh. Chris: Yeah, we’re the beneficiaries of so many good ideas like that. Imagine a big port where our pier is today, imagine that kind of trucking coming through Second Avenue where we have a beautiful walking and Beach Drive is now a staging area. You and I wouldn’t be here, buddy. We wouldn’t. And that there are people that created those legacies for us inspires me to say what are you and I and what are others going to do in St. Pete to keep that going? That there’s a kind of responsibility now to look at less about what my profit looks like and more what my community looks like? Joe: Cool. And it’s a sort of an offshoot to that, but I think factory is over to the purple community. That’s a strange charm, but the mixing of blue and red and left and right, and it seems like in business, politics and everything in Saint Petersburg, citizens put Saint Petersburg above things that other communities don’t. And that’s a neat aspect. Chris: Yeah, we are proud at the Chamber, cause we’re saying we’re pelican, not partisan. And we’re the purple pelicans when we really… Even our advocacy logo is a purple pelican and it’s important, and it is so helpful, especially in the national dialogue right now, you obviously don’t feel like there’s middle ground, there’s people on both sides digging in. And how much gets done? And even in your business, if you have a team that can’t get in the middle and say okay, we got to keep moving forward, so what are we going to do next? You know what? Your business won’t be successful and somehow we’re back to that notion of choosing sides. But in St. Pete we’ve been lucky enough, in such a diverse community… Most urban markets are by definition diverse and that’s how suburbs got created, is because people didn’t want to have that diversity, they wanted to be with people like them, with similar interests and similar faiths and similar backgrounds, and that’s okay. So that’s how the world of suburbs got built. But by definition, the urban core was always this place where everybody showed up, and then figured out who they were going to become and what they were going to do. And so St. Pete is still an urban market, we’re an urban market, but where our scale is such that it does not overcome the notion that you can’t be seen in that. Most urban markets are so large as like I don’t even know where the city hall is, or who’s the Chamber guide, I don’t even know if they do it. It’s so big that you don’t feel like you can connect into it. In our purpleness we have the ability to say what do you want to do? You’re here, the scale works at that diversity. And so that’s why I think we’re winning right now in the attraction of great people that you’re attracting in your business, that we’re all attracting in our business is they want that, they demand that. In fact we’re working on an economic development play and we work with companies, there’s a company from the other bay area in San Francisco considering us and they demand it, they want that to happen, man. They want to see diversity, or they can’t… They say that’s their competitive advantage, we want people around our conference room table that don’t think like me, so that I can get their best ideas too. And so for us that purpleness, and inspiring people to have their own opinion is actually a good economic development play as well. Chris: It’s nothing like it. I’m going around doing a lot of travels in the summer, trying to find another community where there is that kind of… There’s a couple of communities that have that empowerment right now, but I don’t know how anybody who’s 25 who just came to town already has met with the mayor, already met with the Chamber guide, he’s got his business, he’s been on the cover. How quick people are highlighted in this community is blowing people away, but it’s that they feel connected. And it’s my theory that because we’re all so tied to our screens and we may have 1,000 Facebook friends, that we’re feeling less connected than ever, because the pace and the impersonality of that connection, that the scale of St. Pete that I know I’m going to see you at a lot of things, so how am I going to behave? Because also I know I’m going to see you at a lot of things. So that notion of civility, that notion of appreciation and confidence in each other is part of the scale definition that I think those people who are disillusioned with big urban markets, but want the diversity, oh man, that’s just so big here. I left Atlanta because I was disillusioned with my impact, I wanted to make an impact and in Atlanta I didn’t know where the front door was to even say hey, I’m available to make an impact. And you come down to St. Pete and they’re like almost expecting you to make an impact, there’s kind of a notion of what are you going to do? Joe: Peaceful, supportive accountability, yeah. Chris: Yeah, the accountability, that’s a good word for it. Chris: Yeah, man. And how many times have you heard people go okay, I’ll help you? What seems like that notion of we both can win might actually still be alive here in St. Pete. Joe: And what are your words of wisdom for the… Obviously, candidates aside, what would you like to see happen with how the community embraces the mayoral race? Chris: I think they should vote for me. Chris: Write-in. Alfred E. Newman again. Joe: Free fruit salad for everyone? Chris: Absolutely. No, you know, I think elections are very important, and even how we go about them are very important. What I’m hoping we all learn from it is we’re not there yet as a community, we’re not done yet. Most people want things to be completed, there’s a lot of us who crave completion as one of the things that we thrive on and you hire people because they like that. But in a city you’re never done, you’ve got to realize that, and you’re always evolving. So it’s important during these election times to get a gut check where we’re at, and you begin to hear from those who haven’t felt the inclusive prosperity like others, so you need to pay attention to them and you hear different opinions and ideas and you see candidates offering… Maybe even considered fringe candidates offering really good ideas. So what I’m hopeful of is that people are listening with an active opportunity to say what can we learn from these people that are offering their time and energy to be an elected official? Which I don’t know why anyone wouldn’t want to, it’s a hard gig, and then really pay attention to solutions. Hopefully we don’t get a lot of the partisan rhetoric that a lot elections do, it’s supposed to be a non-partisan election. I’m hopeful we can stay above that and really talk about where does St. Pete go next? How do they support community strategy? We’re calling it Grow Smarter. How are people going to embrace the notion of there are themes in our community that we are working on? And how do you see you putting your fingerprints and footprints, and what difference can you make? Joe: Cool, I like it. So, Grow Smarter, that’s a segway that has led to the creation of the Economic Development Corporation. Chris: Recurring, so we got 43 businesses to say yeah, I want to help get the next job here, we got the city mayor’s office, the city council, all in saying yes, we want to be a partner in this as well. And now we’re off and running, we’ve hired J.P. DuBuque as the president of the organization, and the Chamber is still connected to it to make sure that it stays in strategy, because that Grow Smarter strategy is all about we all swinging out the same boat. So now we have an economic development group and the Chamber working out of the same page. And I’ll tell you, look around other communities and see if they have that. If you’re considering any community, ask them that question. What’s your community strategy, and does everyone buy into it? Does everybody have that same one? And that will indicate are we all on the same page? And so now we have an EDC out there beginning to tell a story to the rest of the world about what we’re trying to do, where we’re trying to go and how you can impact it if you so choose to. And so it’s a real human story, it allows us to talk to current employers that are here and how would they expand, how can I get another five jobs from you, guys? What can I do for it so that there’s this intentional interest in saying we’ve got to create jobs and we know what we are good at, we know we want to do it, so let’s get going. And so now we’ve got that going, and that was a outcome of the Grow Smarter strategy, so that’s a tangible benefit. Other tangible benefits were the Innovation District, we said that has got to get up and running and be formalized. Well, they just hired their new executive director couple of weeks ago, so that’s up and running now, and we’ve talked about the 2020 plan in South St. Pete and in South CRA being very important to that district, and that’s having tremendous success, really making an impact in generational poverty. And so now you have everybody feeling like they’re part of a team, recognized, and then when it comes to crazy season up in Tallahassee and advocating for it, we now have a game plan of what we advocate for. If it’s part of the Grow Smarter strategy and it’s part of these efforts, I don’t care what organization is needing the money, we’re going to get it for you so you can be successful. So it takes business leaders out of having to pick winners and losers and saying we got our strategy and we need everybody to win, and here’s how we’re going to do it. I’m so excited. I wonder if people really understand how important having that document is. I know when that gentleman Alan DeLisle came to town, the city economic development administrator, that was the first thing he noticed. He was like holy cow, it’s already here, you have the strategy. That’s the hardest part of a community, is to pause long enough to get everybody on the same page, willing to even show up to the meetings, cause they are threatened or feel like they are going to lose something. We had this window of opportunity and man, it was beautiful. I know it’s thankful because you had good leaders, you had big volunteer leaders that were in all kinds of businesses, startup businesses to big institutional businesses to social enterprises all at the table. And I swear Joe, I’m not lying, when we signed off we went around the table of all 24 and asked “Can you endorse this?” By the end there were tears in people’s eyes and it was because everybody felt that good about seeing such consensus. And I don’t think we realize how good it feels to know that you’ve got a room full of people that see the same thing as you do. Chris: Yeah, you do. And you see it. You know what? Some of my proudest moments right now are just even when you hear City Council talking about it and going “Well, part of our Grow Smarter strategy…”. It’s kind of a verb and a noun, it used to be just a noun, now it’s a verb as well, like we’re actually going to be growing smarter and we’re seeing that. We’re all on the same page with some of these projects we’re working on because we know, hey, that’s what we’re trying to do, guys. So there’s no probability to go wait, why are we doing that? I’m like guys, it’s already here, we know what it is. Joe: So what’s left with that? So the economic throughout EDC plugs a big hole, what about on the investments and incubator and…? Chris: Yeah. So one of the six names, one of them was this EDC getting jobs created in our five sectors, and the other one is the entrepreneurs. 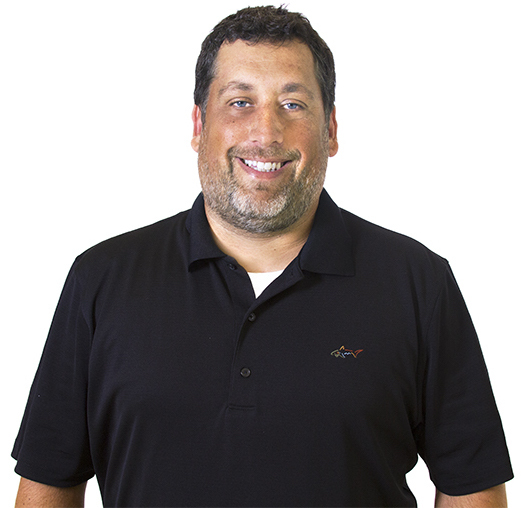 On the batch we say we want to be the best place on Earth to start your business, so that takes a lot of energy as well because there are so many models of how to start a business and what kind of business. And some communities are focused on just maybe a tech startup, or they’ve got the infrastructure for that. We didn’t want to go that vertical on that, we wanted to go a little more horizontal and say we want it to be the best place for whatever your ideas, and do we have the solutions in place to support yourself? You’re a non-scalable retail mom and pop main street operation, you need as much attention and energy as the person who’s got the next idea to scale something that’s going to be in every household across the country in two years, right? On so different kind of needs, so one size can’t fit all, and I think that’s the beauty of what the Greenhouse offers us with all the partners that are in on the entrepreneur effort, cause you got the city, the Chamber, the EDC, TechGarage, the Downtown Partnership, the Innovation District, all saying here is a plan for how entrepreneurs will be focused. And we’re actually now mapping out that kind of an illustration, so if you would come to town I could quickly go okay, here’s where you belong. And wouldn’t that be a good feeling, rather than making you self-navigate, going to different parts of the city, realizing “”Gosh, I didn’t have that meeting”, or “It’s hard”. We need to make it easy from the day you walk in going “Yeah, I want to start a business in St. Pete”. We should not have anything but okay, great, how do you identify yourself? Perfect, here’s your map. And you give them the map. Chris: You can’t have a great community without both of them being there. But I got to tell you, the fun part of the St. Pete story is too, if you think about our Fortune 500 headquarters, they were all mom and pops, they started here, they didn’t move here as Fortune 500 headquarters. We again, and I’m trying to tell people in St. Pete “We have the billion to make your mom and pop a Fortune 500 headquarters”, and when they go “How are you going to do that?” I’ve got three of them now already. Show me another community that can host that right now in Tampa Bay, show us somebody in Florida that can do that. St. Pete has got that opportunity. And then you start looking at even not our Fortune 500, but our larger employers, like Valpak and HSN who just got bought out, all started here, all that, Valpak out of somebody’s garage, man, just amazing great stories of why you focus on the entrepreneur is because you never know. You never know. We started this conversation about a guy wanting to take people up on an airplane and now it’s a major industry. You didn’t know that, and so we don’t know what’s next. So that’s why we’re treating everybody with the same kind of appreciation, if you’re successful we’re all successful. Joe: I think it’s something that too, it’s now called the Foundation for a Healthy St. Pete is they’re looking to be the glue or looking to invest in processes that support that sort of thing as well. I think they did a pretty big bit of work on going around all the different non-profits, that’s more there than the for-profit and looking at what they did and seeing that there was potentially some overlap and some things that were slightly different from either be different districts or different flavors of the same thing, and you’re trying to put them under one umbrella to get some efficiencies and things like that. Chris: Yeah, I get it. We are so blessed as a community to have this Healthy St. Pete Foundation, which is a conversion foundation. When the city sold the hospital, Bayfront Hospital, the proceeds went into a foundation and there’s almost 168 million dollars now that is sitting in an account, and every year maybe three to five million hit the street for the kind of transformational strategies that will impact economic development, social enterprise, poverty, health and everything else that they’re looking and focused on doing for the scale of St. Pete, we talked about it not being rather large, but just being large enough to have a foundation focused just on St. Pete offering that kind of money. Show me another community that’s got that too, I mean I’m telling you that was one of the bigger stories in the last five years that may not be felt till another 20, when all that resources really has matured. But holy cow, guy, I’m telling you, the scale of the foundation to the scale of the city, we have a competitive advantage. Joe: Nice. So you brought up one point, which I’ve actually been doing a lot of work writing and thinking about lately, is the power of districts. I’ve heard people say that bringing people in and then putting them in an area, I don’t know why but there’s a pigeon hole sort of thing, but in reality there’s a lot of power to concentrated similar businesses in, and when you look around the world it’s pretty standard to go to a market and all the pots and pans are in one place, and all the shoes are in one place. Even to the competitors it lifts them up to have that. And so I think with our districts, and a lot of the big cities, obviously New York, in terms of screwing ahead the different districts, they have their own special flavor and these are all building blocks for growing off of them. So I feel like we’re actually still in the very early stages of realizing the full power of districts. What are your thoughts on that? Chris: Yeah, absolutely. Just as we talked about St. Pete’s role in Tampa Bay, they go home to St. Pete, but they go home to their neighborhood and their district. I mean, they identify. That’s why, even when you’re doing city work and you mess with somebody’s sidewalk and you don’t think it’s a big deal, it’s a big deal cause people have a passion for what’s right outside their own area and you can’t tell them that their area is just like your area. 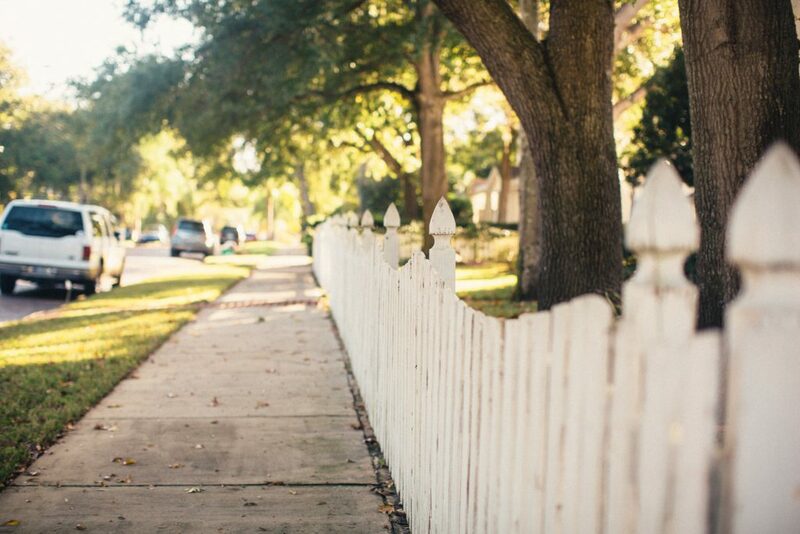 There’s differences, and you kind of don’t value them if you say “Well, it’s all the same.” You actually appreciate them more when you are fond of their affinity to their neighborhood or district. And what St. Pete has with our districts now really starting to be mature and getting the right kind of resources they need in our neighborhoods. You then empower people to really own that piece of that community, so rather than everyone feeling like I’m just part of the grind of this bigger wheel, I’m seen again. So the districts to me are very important for a lot of reasons. One is you identify resources and planning, so you get your strategy in place. So what you’ve seen the last couple of years in St. Pete is Skyway Marina district just create one of the best district plans in the country, and now you’ve got its first major investor and you will see the Skyway Marina district become unrecognizable in five years, and it’s because those neighbors, the city investors, the businesses that were there, Ceridian and others said it’s my neighborhood, it’s mine. So they take a different approach than something down in the other side of town, that’s natural. And so we’re playing into that natural notion of that’s mine, that’s my sidewalk, I walk on it every day, I taught my kids how to ride their bike there, that’s my park, right? So when there’s that natural you’re gonna do more for it. And so by giving people some resources, and in our Grow Smarter plan we identified that districts are going to be a key component, districts and neighborhoods have to be a key component, and it’s because you get them resources for strategy, you get them resources for implementation, but the resource allocation is deployed by those districts, I mean they’ve got the natural resources there that you’ve just helped convene, the power of coalescing those districts. You’re seeing that magic, now you’re seeing that it in the duces Innovation District, Skyway Marina, you’re starting to see a lot more of this notion of mine, we’re going to do this, we’ve got our role, we’re part of this family too. It’s like every one of the siblings is growing up and they feel like they’re part of a nurturing family, so something that all of us would really want to have. Joe: Sure. And there’s certainly power in the clustering as well, from a business standpoint, where if you’ve got a small shop then you can inside right into the 600 block. Or if you’re a tech, if you’re a medical or innovative startup, you have the Innovation District and grab John Hopkins right there, and NOA and if you’re financial you’ve got to split financially, as you’ve got RayJay, Aaron, all the supporting businesses. Chris: And we start to see that really happening, yeah. One of our volunteer business leaders that’s chairing the Grow Smarter efforts, name is Ryan Griffin, he’s a lawyer in town who also owns a lot of the great establishments, Souzou and Mandarin Hide and others, talks about these are the times… Imagine being in New York city 35, 55, 75 years ago when they were naming their districts. There were that time when those districts didn’t have names and people were like well, that’s the Soho district. Okay, so someone named it that. We’re in that process right now, where people are naming different areas, so what an opportunity to say we’re going to define what this community means to us. And again, that’s that empowerment, the scale and everything that we’re getting back to that same theme of we’re allowing people to do it, and it’s now already pre-described. People aren’t coming here from Kansas and going “Okay, what’s the rules?” We’re like “What do you want to do with that? It’s yours now, take it, see what you can do with it.” And so there is some excitement for people just to know they can own their own sidewalk. Joe: Definitely. And speaking of a weak segway, new arched sidewalk, the pier. No, maybe not. Better than I hoped. Chris: Not a glad idea. I’m kidding. Joe: I’ve been doing this for a long time, you can tell. Chris: So finally, form its approved, yeah, we should be hearing banging any moment now, and I mean that like today or tomorrow on I think what is, 1018 pylons or some ungodly number of pylons, so I’m hoping I get a lot of complaints, and I’m saying this jokingly, about the noise, because that’s a good sign that we’re actually in construction now. It’s kind of cathartic for all of us to know that those debates are over, we’re doing this, we’re moving on, we’ve got something for everybody, we’re going to have something that all of our families are going to celebrate, I will see you down there and we’re going to look around and go man, this is fun! We’re having a good time, it’s a new part of St. Pete we get to explore together. It can’t come soon enough. You know what, I’m blessed with on that one is there’s pros working on it. First of all, Skanska, they’re the best construction company in the world. But then you’ve got the architects and the designers, the city… It is world class and some have been concerned with but it’s not going to be that iconic design that we’ve all hoped for. And I’m going to say let’s wait, because I think while we may not have a physical structure that is iconic, I think that experience is going to be iconic. I think people are going to walk away from that going “You want to go back down there tonight? Let’s go back down there.”. Cause people like to see people, people like to walk around and be around other people. I like in what we’re going to be doing down there to what they did on the Montreal waterfront, and go down to Montreal and their old historic waterfront, and people just hang out there because it’s a pleasant place to be, and there’s a point where you’re on vacation, or even coming that you don’t need to spend money to do some… This is the notion where anybody… You don’t need to have $5 in your pocket to enjoy this pier experience, and I think that’s really important because families on budgets or whatever, we can take them down, let them play in the fountain, they can catch the water, they can go fishing, didn’t cost us a nickel except the shrimp we used for bait or whatever, and we got to feed the pelicans on the way out and we’re done. And I still think that’s one of the core experiences that we need to offer our residents, our visitors, and I think we’re about to get it again. Joe: I think there’s something to be said for the district being the icon. I know you’re not the art deco, but you look at the South beach, South beach lacks… There’s all the different hotels that have that vibe, but it does lack one central iconic thing and a beach, obviously, and it’s made it, it’s been fine. And so I think with the museum and the Banyans and the great establishments on Beach Drive and the Dali down the road and the stadium, and of course the park stretching all the way North, then the whole place becomes the icon. Chris: With the exclamation point. It really is, and I really think once people get out there they are really going to realize holy cow, yeah. The magic isn’t the structure, it’s the experience, that’s actually being so close to that water and then looking around and seeing such a beautiful city and seeing people enjoying themselves. That’s the magic, that’s really what it is, it’s not the physical structure. So I’m very confident that within two years from now you and I are going to have a beer or an ice cream or something down there and just come in, this is even better than… We’re not done yet, we’re getting better every day. Chris: I love all my children. Joe: Yes, you’re waist deep in all that stuff. Chris: Yeah, that’s going to be tough because I do have so… I’m very lucky to have the opportunity to see so much good. I tell people I get to see the best in St. Pete and hear about the worst, but I’m privy to be in and see a lot of why St. Pete is rocking right now, and there’s so many good people. The first thing I would shout-out to is just how we are managing our social services, I think that gets largely unlooked on the scene, our homeless service providers, folks like the St. Pete Free Clinic, to me is fascinating. What a success story that Beth Houghton has done with that organization. And we don’t think about it anymore because it’s running so well, and the resources they’ve upgraded to get people the medical care they need, the food they need and, when appropriate, the housing they need… Their new housing establishment is beautiful, they’re great neighbors, they’re the exact kind of neighbors everybody wants and they’re offering people a new chance in life. But the way it’s being run in strategic investments for the next 25 years, I think… So Beth at the St. Pete Free Clinics, one of those I’m really fond of, so that’s how we take care of the people. I think someone who gets largely overlooked is the SPCA of Tampa Bay and Martha Boden. And I guess I’m drawn to strong leaders in difficult situations, and what Martha has done in St. Pete with her veterinary center, offering, again, people who don’t have all the resources in the world a chance to have a pet and take care of that pet. I know that sounds really minimal from a Chamber guide to say that’s what you’re excited about, but think about the two examples there, if you’re taking care of your people, who don’t have it, if you’re taking care of your animals, first of all those are two things that I want in every community, right? And what I think we’re blessed with are professionals who have set it up for the long haul. And after you and I are retired and sitting on the green bench somewhere, I know those resources are going to be there because they’ve invested well, they’ve created beautiful facilities in St. Pete, they take care of those that need to be taken care of, so that would be part of my shout out. My final shout out would be just I’ve got the best chamber staff in the Universe, I have got folks who work for us for this mission of economic growth and community, I tell you, they give 100%. I’ve never been so lucky to work with 12 other folks who want to come up and show up every morning, be at the 7:30 meeting, be at the 5:30 ribbon cutting at that night and go to the 7:30 cocktail reception on with a smile on their face and do it again the next day. We did 74 ribbon cuttings in the last 52 weeks, so that alone is a lot of work to do and that doesn’t count all the events and activities, but just how much our staff is willing to put themselves out in this community, I’m very blessed with that. And my last shout out is I’ve got the best support system, my wife Juli, she’s got a small business in town, so I understand a lot from her perspective on what small business is doing, she’s a one person shop, she’s a mental health counselor, mindbodylab.com, that was a nice plug. But when I first started this job, it wasn’t as easy, we were trying to get it back on the tracks and I gave up a lot of family time. And I have two teenage boys who have been very supportive as well, and Juli ran us and helped us as a family stick together. So by having a great family, great staff and then a community of folks who just get it, our ambassadors throughout the world, our board… People want to contribute. I’ve said that St. Pete Chamber story for me has been the “It’s A Wonderful Life story” by Jimmy Stewart, and if you know that story, it’s one of my favorite movies, we watch it every Christmas Eve, or New Year’s Eve, is this notion that our Chamber was morally, spiritually, financially bankrupt though and there was no reason for anybody to come help them, they could let it just languish and pass away. But then when you started to talk to people and helped them understand what we could do together, they showed up, people showed up, folks like yourself and others are contributing and I am amazed how many volunteers I get for every committee that keep showing up, that are willing to work and willing to try something new and give their time and energy. So our members, our board, our ambassadors, staff, I’m living a dream, baby. I mean, I really have so much to be thankful for. Joe: Alright. Thank you for that. It’s great. Chris: It sounded sappy, didn’t it? Chris: Yeah, that legacy. That’s what I inherited, I inherited a Chamber that built a waterfront leg, that’s infrastructure. Anyone who sits there later has that responsibility to build that infrastructure, so when they’re gone they’ve left it for a lot of people to enjoy it. That’s what we’re all up to. Joe: Appreciate it. Went very quickly, covered a lot of grounds. Chris: I thought it went really well, I think it was the most exciting one yet. I’m a big fan of this show, but I got to tell you, this one off the charts. Joe: Off the charts, I know you’ll listen to it many times. Joe: Put it on loop in the bathroom. Chris: Yeah, I’ll put it in my Christmas card too, like when you open the card it might… Can you do that for us? Joe: For a solid, get people sticky, what else to wake up? Chris: Hey, I want to make sure you donate all the royalties for those T-shirts to my favorite charities, okay? Cause there is a lot of good things in that. Joe: Yes, sir. It’s a creativity balance here, might have a mystery caller, I don’t know. Joe: Hallmark, we’ll give them a buzz. Joe: Cool. Appreciate your time. Have you back again. Chris: Yeah, thanks for having me. Well done. Appreciate what you’re doing.